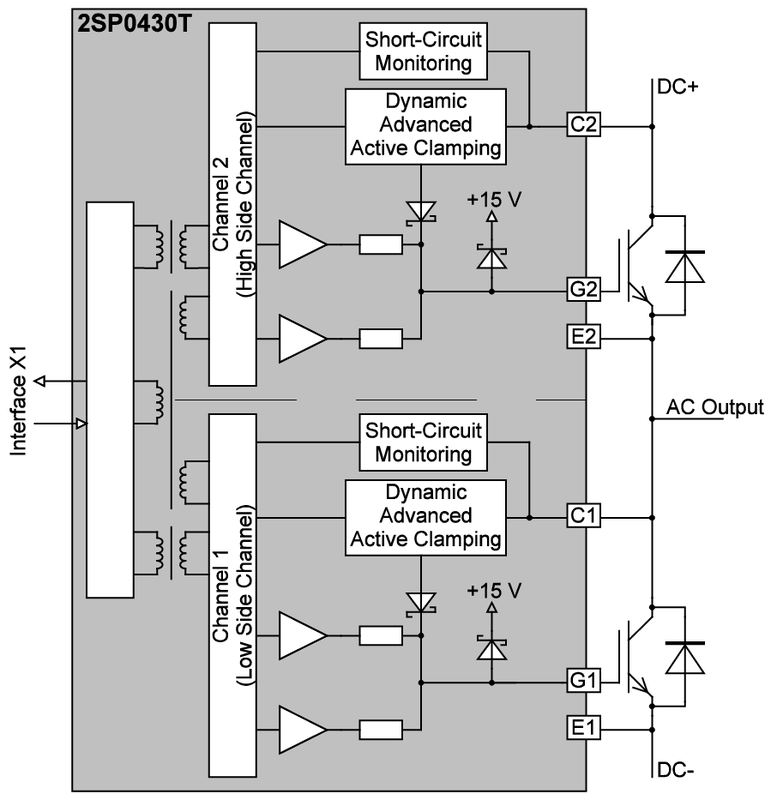 2SP0430T2A0 features an isolation rating of 5000 VRMS between primary-side and secondary-side. 2SP0430T2B0 features an isolation rating of 9100 VRMS between primary-side and secondary-side. 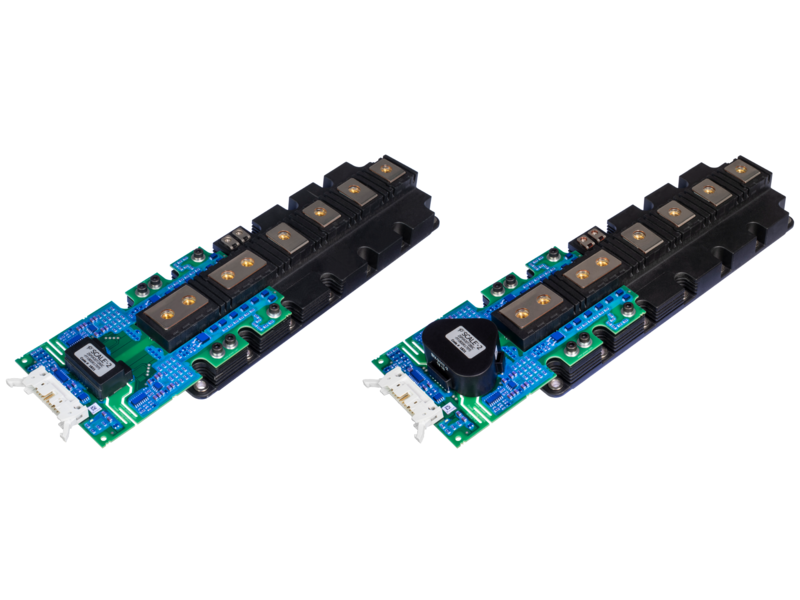 The plug-and-play 2SP0430 gate driver family is optimized for operation of 1200 V and 1700 V PrimePACK™ 3+ IGBT power modules in 2-level and 3-level applications. The gate driver features an electrical interface with 15 V logic and built-in DC/DC power supply. Power Integrations' Dynamic Advanced Active Clamping allows an extended DC-link voltage range in IGBT off-state for up to 60 s in PV and regenerating applications (e.g. traction). Clearance and creepage distances between primary and secondary sides meet requirements for reinforced isolation.